Richard O. Jacobson, a longtime Mayo Clinic patient who in 2011 made the largest outright gift in Mayo Clinic history, passed away on Friday after a courageous battle with stomach cancer. “We are greatly saddened at the news of Mr. Jacobson’s death and offer our sincere condolences to all who knew him. He had an extraordinary generosity of spirit, and we will always be inspired by his optimism for the future of patient care,” says Dr. John Noseworthy, president and CEO, Mayo Clinic. Mr. Jacobson gave $100 million to Mayo Clinic just as plans were underway to establish the Mayo Clinic Proton Beam Therapy Program and build new facilities in Rochester, Minnesota and Phoenix. To honor Mr. Jacobson's transformative gift, Mayo Clinic named the Rochester facility in his honor. "My dream has always been to establish a major new facility at Mayo Clinic," Mr. Jacobson said at the time of the gift. "By supporting Mayo, you help people throughout the country and around the world." The Proton Beam Therapy Program opened in the Richard O. Jacobson Building in Rochester in 2015. MEDIA CONTACT: Ginger Plumbo, Mayo Clinic Public Affairs, 507-284-5005, newsbureau@mayo.edu. 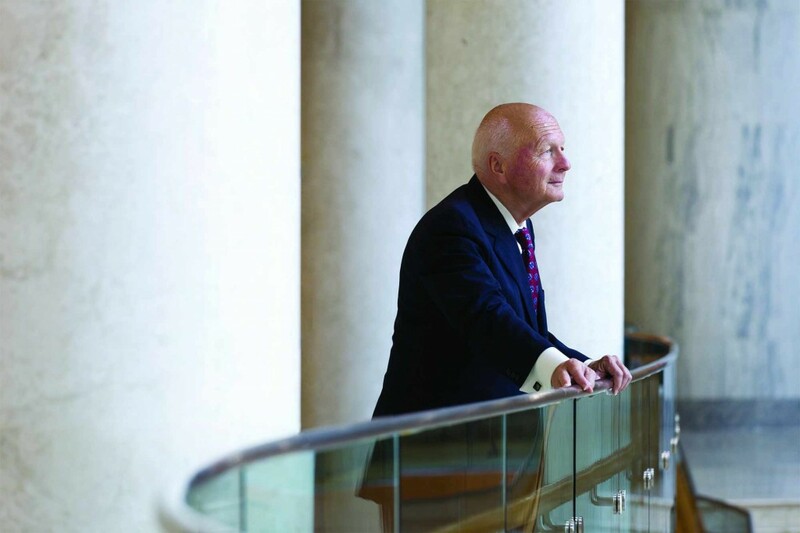 Mr. Jacobson had a relationship with Mayo Clinic that spanned more than 70 years. His parents were loyal patients in the early 1900s and friends of the Mayo brothers. When Mr. Jacobson was a young child, he became ill. His mother called Dr. Charlie’s son, Dr. Chuck Mayo. They discussed the boy’s condition, and Mrs. Jacobson decided her son should be seen at Mayo. She told Dr. Mayo, “We’ll see you tomorrow at 10.” Sure enough, Dr. Mayo saw the boy as his mother directed. Mr. Jacobson founded Jacobson Warehouse Co. in Des Moines, Iowa. It became one of the largest privately owned warehouse companies in the nation -part of Jacobson Companies - which includes investment, transportation, packaging, logistics and staffing businesses. In 1976, he established the Richard O. Jacobson Foundation, which provides wide-ranging support for children and education in Iowa, the Midwest and Pinellas County, Florida. Learn more about the Mayo Clinic Proton Beam Therapy Program.